Just print this super fun LEGO treat box template to create a wow-worthy party favor for a LEGO birthday party! Do you have a LEGO fan in your house? We have a few, and LEGO birthday parties have been requested many many times. Along with our favorite LEGO party decorations and gifts, LEGO treat boxes are a favorite addition to pass out to party guests. I’ve made this super easy template so all you have to do is print them, cut them, and put the box together. 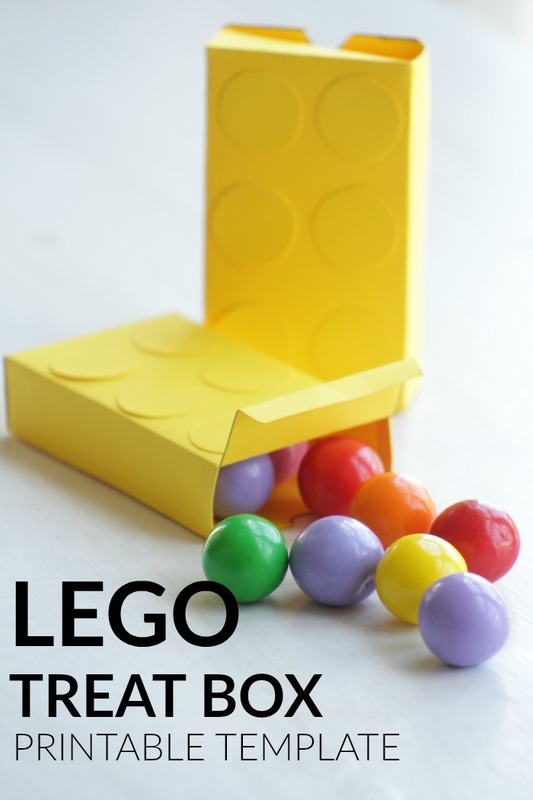 Fill with your favorite sweet treats or even a few LEGO bricks! Super easy! The LEGO treat boxes are a simple DIY party favor that won’t break the bank but will add a ton of WOW. Check out the video and be sure to like our facebook page for more fun ideas!